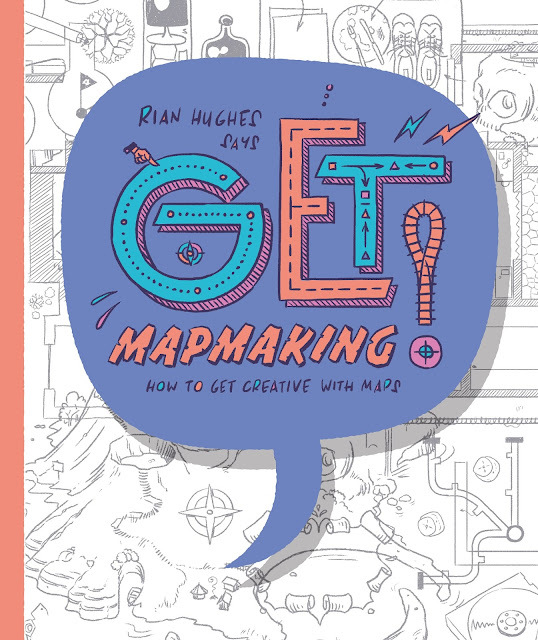 This book has so many fun ideas to let your child have a go at mapmaking as well as other designs of things on a map or a road. For example there is a page to design their own road signs. What kind of road sign would you make? Have you had a treasure hunt with your kids? Here is the Treasure Island Map page. 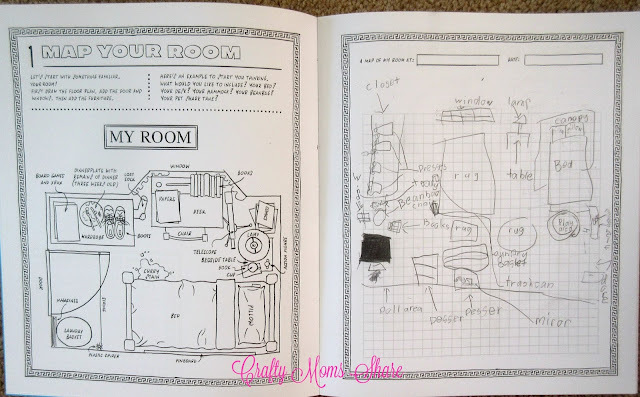 The instructions are to write the directions to find the safe place you picked to bury your treasure. 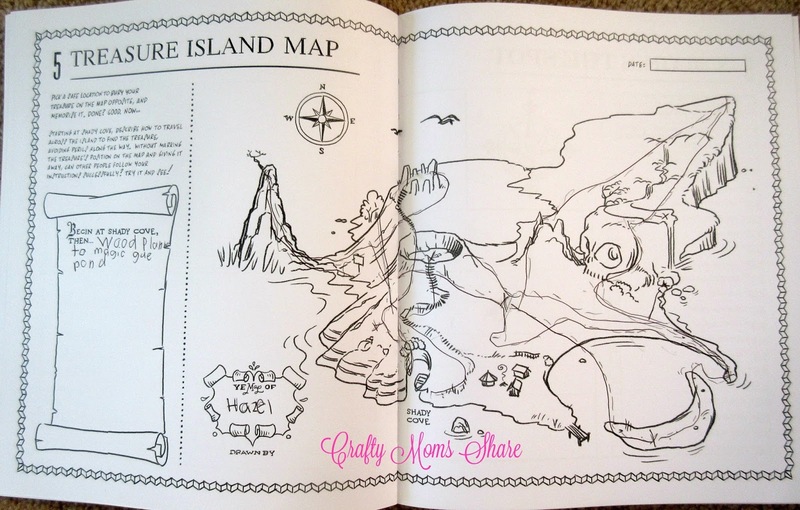 Yes, they have to write the instructions for their hiding place using the picture of the island. Of course the first map they draw is of their room. After all isn't that the place they know best. A grid is provided for them to draw their best map. 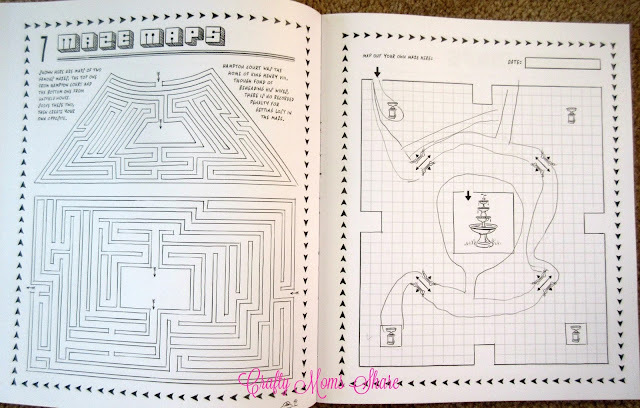 They also teach about compasses and map scales. Hazel hasn't tried those yet. She did however try to draw a maze map. There are also unconventional maps like sky maps, train maps, under the ground maps, solar system maps, plumbing maps, a human head and body maps, and a robot head. There are also activities with weather maps, flags, road maps, map contour and topography. 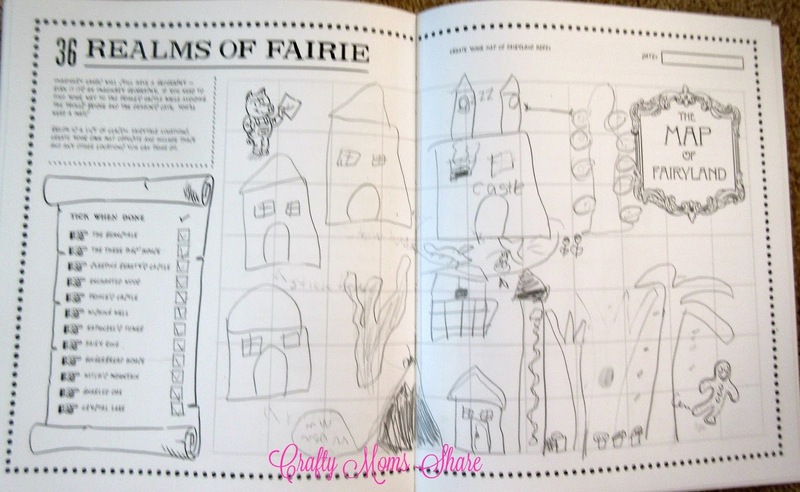 Of course Hazel's favorite was the Realms of Fairie. In fact after doing this she decided that various areas of our yard were part of Fairyland and she drew a map for me. Unfortunately I don't know what happened to it. This is a fun book that gets kids thinking about maps, directions and more. What kind of things do we need maps for? What would you map out? 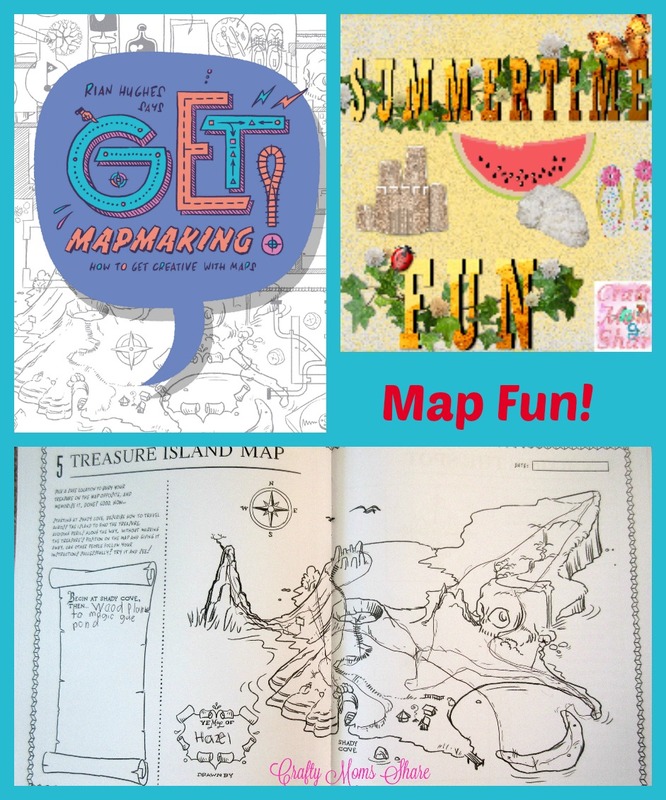 A fun extension would to be look at road maps or a map of your country and have the kids plan out a road trip from your house to some vacation spot. (To add some math have them measure the trip and calculate the distance using the scale.) And of course to look at world maps and identify countries as well as oceans, mountains, etc. Overall I think you will enjoy this book and it is fun and provides many great lessons and creative opportunities. I hope you will check it out.